We are in a bit of Scrabble frenzy here. Just to give you an idea of what’s afflicting us; check out the near-end of this post to see the Scrabble posts we have brought out so far. Don’t blame me; I am bit of a word freak, and the world’s favorite word game just about fills my competitive urges. These three Scrabble games are more tools and less games. Also, I think if you love a particular game, you will like to play it in any of its avatars and take any route possible to get better at it. 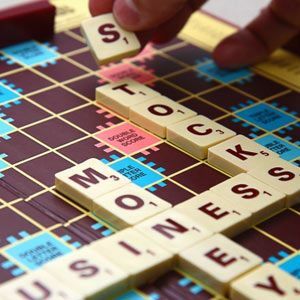 So, let’s look into three desktop Scrabble game tools you can download for free to increase your knowledge of words. Scrabble 3D is an Open Source Scrabble game. As you might notice, it’s a bit different because you play it in ‘three dimensions’. Scrabble 3D is a 2MB download and after installation, a few screens take you through the download of additional dictionary files and configuration steps. The game is backed up with a Wiki where you can read about the gameplay, though it didn’t open for me. You can also put in your two bits worth in the discussion forum. The word game has a few international editions also, so expect to see foreign tongues there. When you start a new game, you can choose the number of players (maximum four) and choose whether they are going to be human opponents or a computer one. Frankly, playing Scrabble in 3D was a bit difficult to grasp, and I was more comfortable in the dual view (2D and 3D). The appeal of the program lies in the multiple ways you can configure it. You can set international tournament rules and even design the layout of the board to your liking. Has 5 presets – supports Classic Scrabble and also 3D Superscrabble. Customize board size and color layouts. Set individual points for letters with options for number of jokers and number of pieces per rack. Play with optional time control and time penalty. Compute the best word and a dictionary check. A game server can be used to find opponents (though I couldn’t connect to it). There are some bugs. The absence of a help file (or the wiki) is bit of a minus because it takes some time to understand how the 3D Scrabble board. But for an Open Source free game it is entertaining. Quackle (ver.0.97) is a word game that resembles Scrabble. You can call it Scrabble with another name. It is not only a free “Scrabble” game but also a Scrabble simulator that improves you game. If you want to take the description further, it is an analytical tool for examining your Scrabble moves. Alternatively, you can call it a Scrabble cheat tool. Sounds like a game for the boffins? Not at all, because you can simply choose to ignore the mumbo-jumbo and play Scrabble. Quackle lists all possible moves for a rack of letters and also tells you which moves are likely to give you the highest scores. See those on the left. Just like chess, Quackle also analyzes and calculates all hypothetical future moves from a certain set of tiles on the board. Quackle estimates the win percentage of each player by guessing the current player’s chance of winning the game based on how many points he is ahead or behind and how many tiles are left to be played in the game. All very complicated – maybe this flowchart will help you understand the artificial intelligence of the Scrabble helper. Watch the bottom bar of the interface for hints and instructions. Quackle is available for Windows, Mac OS X, and Linux. 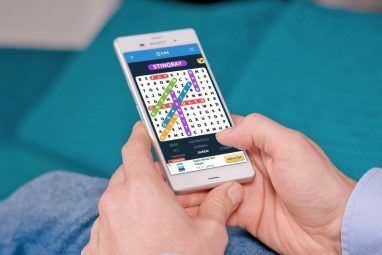 With a strange name, this word study tool is not only for Scrabble buffs but for all who love word games like anagrams and guess-the-missing-letter. If you are interested, Zyzzyva is a snouted beetle and also the last word in many English-language dictionaries. Zyzzyva is available for Windows, Mac OS X, and Linux. It is completely free and is also Open Source. The Windows installer is a 52 MB download. The program loads dictionaries on the first run. Next, you decide how you want to use Zyzzyva – as an anagram decipher; or as a lookup for word definitions, hooks, and extensions etc. Zyzzyva has a powerful word search tool which can be used to find all acceptable words that match certain conditions using a lexicon. As the screen below shows, you can add conditions to finetune your word search. You can create a quiz by defining a set of words and presenting them as anagram quizzes, word list recall quiz, or a hook quiz where you need to guess a word by adding letters at the beginning or the end. The program supports two quiz modes and also has a flashcard mode for learning and recall. Word Judge is a useful guide for Scrabble players. Word Judge can be useful if you only want to know whether all of a set of certain words are acceptable. Whether words are valid for play or not is displayed on the full-screen Word Judge. Zyzzyva comes with a detailed help file that explains the use of each tab. 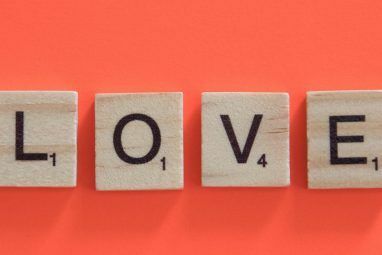 Scrabble remains the world’s most popular game for this very reason – the puzzle behind letters and words that sometimes befuddle the brain. These three tools are for word lovers who would like to think more clearly rather than get stuck at a word. Do you play Scrabble? Do you use any other game tool other than a dictionary? Hey...I can easily improve my vocabulary using your tips. I'm so glad finding your stuff.I bookmarked this blog a while ago because of the useful content and I am never being disappointed. Keep up the good work. This is a really nice way to improve your vocabulary for Scrabble. Thanks! Thank you for any other informative web site. Where else could I get that type of info written in such an ideal manner? I have a undertaking that I am simply now running on, and I've been at the glance out for such info. Generally I do not learn post on blogs, but I wish to say that this write-up very forced me to take a look at and do so! Your writing style has been amazed me. Thanks, very great post. It is in point of fact a great and useful piece of info. I am glad that you just shared this useful information with us. Please keep us up to date like this. Thanks for sharing. I've been browsing online greater than 3 hours today, but I by no means discovered any fascinating article like yours. It's pretty value sufficient for me. Personally, if all webmasters and bloggers made excellent content material as you probably did, the internet will likely be much more useful than ever before. Great issues altogether, you just gained a new reader. What could you suggest in regards to your put up that you simply made some days ago? Any certain? Excellent points altogether, you simply won a new reader. What could you recommend about your post that you simply made a few days ago? Any certain? I strongly recommend http://www.word-grabber.com as well! Thanks for the link. I really liked the part on Word Games you can play online and Word Trivia. Discovered all about "calculator words" through that.